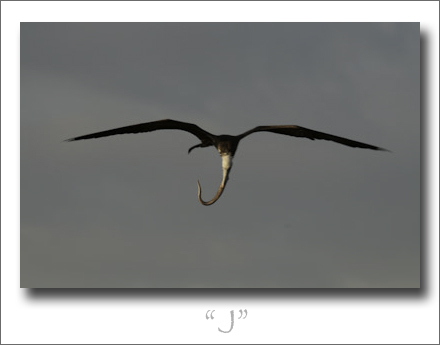 My initial in flight. This is a Frigate bird that just caught an eel. It couldn’t quite get it down and eventually dropped it into the ocean where it was sought after by a brown pelican. Not sure if the pelican retrieved the eel. This one’s a little gross. 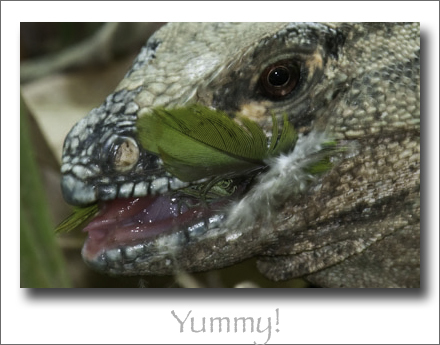 We came across this iguana eating a dead parrot. It would grab the bird and shake it violently until a piece tore off. After the iguana had its share a black vulture took its turn. 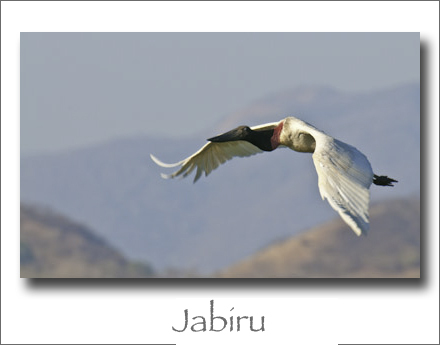 The Jabiru Stork is the tallest bird in the Americas with males standing up to 5 feet! They are endangered in Costa Rica and consequently hard to find. This one was at Palo Verde National Park. Costa Rica 2010 has been a real trip. 56 adventurous days. I am going to try and recap from my log some of the highlights with photos in the coming weeks. Writing this from the first good internet connection since we arrived. Now, only a few days left until we return to the office. Stay tuned for some exciting stories and incredible images and tips if you plan to visit.